I dreaded doing sit-ups or “curls” in gym class as a kid. So as adult, finding out that they are actually fairly hard on your body and not strengthening your core effectively was like finding money in my pocket. 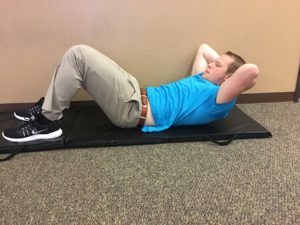 Ditching the sit-ups was easy, but finding a replacement to keep my core strong was not. That’s when I turned to Penrose & Associates Physical Therapy. 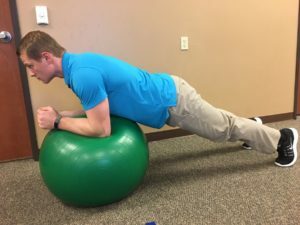 Dr. Jennifer Penrose has a lot of tips on proper exercises and work-out routines to do that won’t harm your body and will maximize your efforts. First, she says stop doing those old-school-style sit-ups. 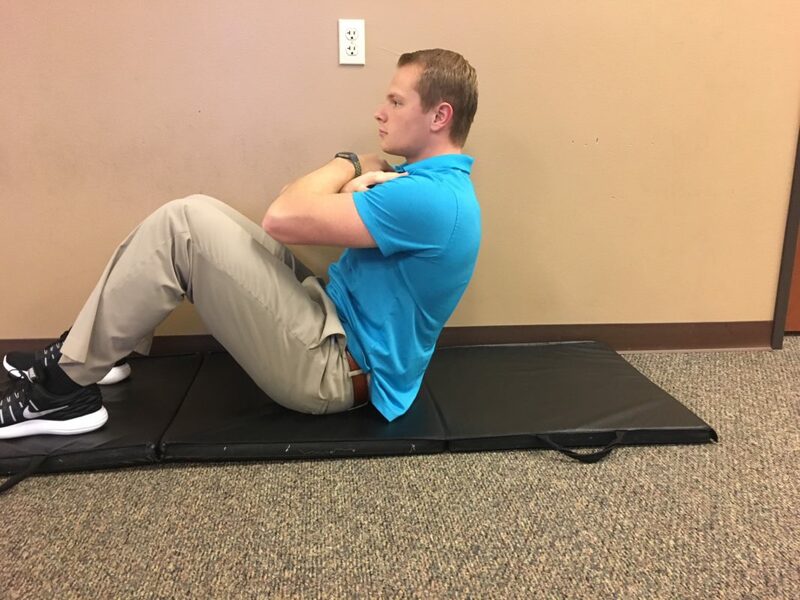 “Especially for people over 40 or those with lower back issues, these exercise can cause further pain because you are repeatedly curving your spine and that puts stress on your lumbar discs, ligaments and joints,” Penrose explains. Sit-ups can also cause pain in your upper back and neck. Penrose’s own 11-year-old son came to her complaining of neck pain. Turns out the day before, his gym teacher had them do a sit-up contest where they tried to do as many sit-ups as they could in a minute. Even on a young body, the repetition caused discomfort. Second, stay away from two particular machines at the gym, the lumbar extension and the abdominal crunch machine. “These wreak havoc on your spine and really don’t help you with your core,” she says. She adds that people aren’t meaning to do harm to their bodies, instead thinking they will work and are good for us. Penrose says no machines are needed to work your core. Research shows that planks are the best way to get hard abs and they happen to be easy on your joints. And, planks do not require you to curve your spine like the sit-ups, instead it stays in a “neutral” or naturally straight position. “People tell me they don’t like to do planks because they are hard, but that’s what will get them the results,” Penrose says. Finally, she says to be aware that some traditional Pilates and even yoga moves can also be very hard on the back as they involve a lot of forward folding and bending of the spine. Many of these exercises can be modified, for example, bending from the hips to keep your back straight if you have back problems. She does recommend Yoga for stretching the hips and improving the upper back posture and for holding positions that require core stabilization. It is truly fantastic! To learn more about beneficial exercise and other treatments, visit Penrose & Associates Physical Therapy online or call them at 360-456-1444.